Sage 500 ERP (formerly Sage ERP MAS 500) is designed for small to midsized distributors and light manufacturers with domestic operations, typically larger companies with advanced requirements. Sage 500 ERP (formerly Sage ERP MAS 500) is a complete enterprise management solution that was developed to help progressive companies streamline operations and manage with insight. 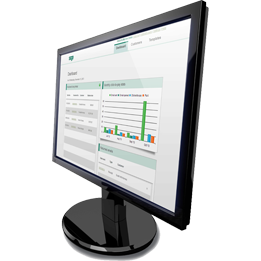 A complete enterprise management solution, Sage 500 ERP integrates unmatched financial accounting software with the full range of business functions in a modular design, and with a low cost of ownership and high ROI. From supply chain management to innovative eCommerce solutions to the latest .NET-based applications, Sage 500 ERP continues to deliver solutions that increase user productivity and lower overall costs. Built from the ground up with Microsoft SQL Server, Visual Basic and Microsoft Office technology, Sage 500 ERP features advanced customization options, including source code, to meet your specific processing requirements. 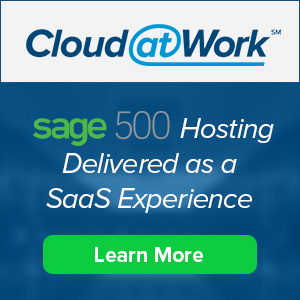 Net at Work is one of the leading authorized Sage 500 ERP (The new name for Sage ERP MAS 500) partners, resellers and consultants. Our consultants and developers have extensive experience in Sage 500 ERP, as well as the full Sage ERP product portfolio, including installs, upgrades, conversions, customizations, support and training.